Darkness has a history and a uniquely modern form. Distinct from night, shadows, and artificial light, “artificial darkness” was an essential—if often invisible—technology of visual modernity. This is the narrative recounted in Artificial Darkness: An Obscure History of Modern Art and Media (University of Chicago Press, 2016). At this lecture, screening, and book launch, art historian Noam M. Elcott will show and tell the story of “the black screen,” a form of artificial darkness that traversed nineteenth-century laboratories, early cinema, Hollywood spectacles, interwar avant-garde dance, and decades of video art. Black screens yielded to blue-screen and green-screen technologies over the course of the 20th century, but they are all haunted by men who unexpectedly display their might through self-dismemberment and doubling. 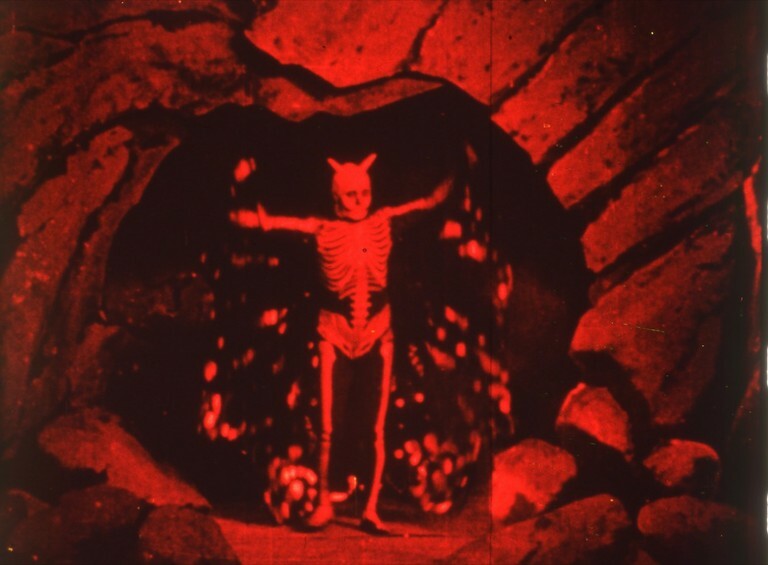 Elcott will trace this history through films and videos by Étienne-Jules Marey, Georges Méliès, Émile Cohl, Segundo de Chomón, Peter Campus, and Aneta Greszykowska, a number of which are quite rarely-screened; one entry in the lineup, the only surviving footage of Bauhaus master Oskar Schlemmer dancing, has never before been shown publicly. Noam M. Elcott is Associate Professor of Art History and Archaeology at Columbia University and an editor of the journal Grey Room. He is the author of Artificial Darkness: An Obscure History of Modern Art and Media as well as essays on art, film, and media, published in leading journals, anthologies, and exhibition catalogs.